yeaaaaaaah so i think everyone should fill this out. oh and if you guys have any more ideas for questions we can add them to the survey! favorite band/artist: ne-yo!!! Chris Brown,Yung Joc,Gymclass Heroes. why did you go on your first cruise: Because my mom went a couple months before she booked ours. She had fun and thought I would too. what got you hooked on cruising: The fun,fun,fun. Going to different places and getting there is half the fun!!! ever hooked up with someone on a cruise: Yeppp. ever done more than making out: I wouldn't do that with anyone I just met. what got you hooked on cruising: its amazing duh! all time favorite ship (only pick one): pearl! what do you want your future career to be: i want to work on a cruise ship! what got you hooked on cruising: everything! 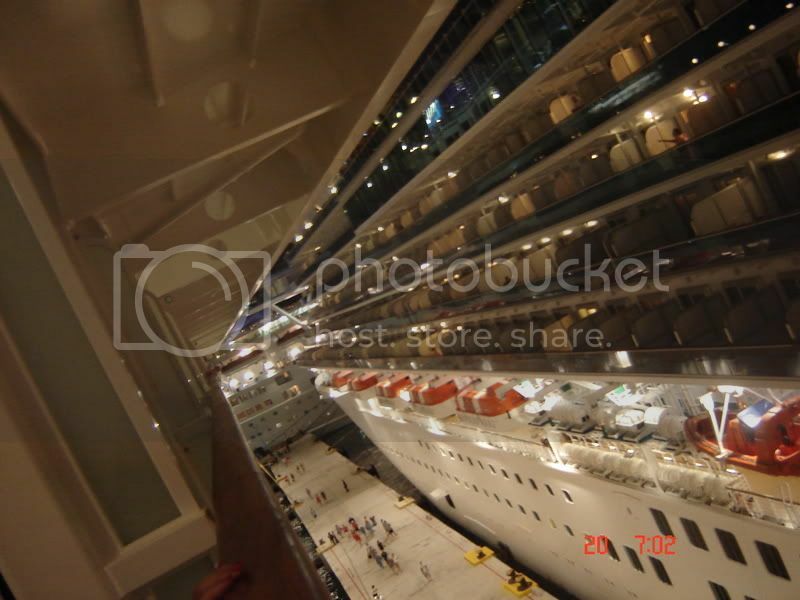 Carnival Dream- 12/5/2009 <----it's so far away! who is your idol/hero: i dunno....probably my godmother i guess? what do you want your future career to be: i honestly have no idea. all time favorite ship (only pick one): ahhh too many to chose from! favorite cruise story: nothing exciting...once this girl and i threw ice cubes from the 7th deck down to the lobby. we hit some lady on the head. its not exciting at all but i dont really make exicting friends on cruises. haha theyre all boring! upcoming cruises: costa magica--on sunday! favorite song that reminds you of cruises: beyond the sea...definetly! one uinque fact about yourself: I'm freakishly outgoing. single or attached: I have a bf, but idk how much longer it will last. favorite movie: Freedom Writers or A Walk To Remember or The Notebook. its a 3 way tie. favorite clothing brand: Abercrombie and Fitch. what do you want your future career to be: I want to teach either english or math in high school. do you have a job right now: HECK NO! haha I need one. favorite place in the WHOLE world: a cruise ship, or Cedar Point. where do you/do you want to go to college: I'm applying to UofM-AnnArbor (thats the only place I'll go in state) and then I'm looking at Liberty U, UNC, Colorado State, Florida State, Grove City College, and UofHawaii. I got a 30 on my ACT, and I haven't taken SAT yet, but so far I've got the grades and ACT score to go wherever I want. how you found cruisemates: my dad told me to go on it. why did you go on your first cruise: Christmas vacation. what got you hooked on cruising: the relationships I made with the kids I met, and the fact that I LOVE the ocean and anything tropical. where is your favorite place to travel to on a cruise (only one! ): my fave has been Roatan Island, Honduras. favorite person you have met on a cruise: Mr. Roy ODell Wilson III, from Florida. He and I still talk and he is the most amazing guy I know. favorite food on a cruise: the midnight chocolate buffet that isnt at midnight anymore. ever gotten in trouble on a cruise ship: noope. favorite cruise story: me and 3 guys went back to their room and made a herd of baby towel elephants, only after "borrowing" like 20 hand towels from a towel cart and running away. haha. have you used the teen clubs on cruises: uhm, there wasn't one on the Dream, but I did the teen program and had the time of my life. I used it a tiny bit on Pride of America, and I used it like 4 times on the Liberty, but only to dance. Hi. I'm Nikki. Let's be friends. do you have a job right now: nope. favorite place in the WHOLE world: Las Vegas! where do you/do you want to go to college: Ugh. NO IDEA! when was your first cruise: uhm... like... 4? all time favorite cruiseline (only pick one): CARNIVAL.. so far. all time favorite ship (only pick one): Pride! ever hooked up with someone on a cruise: Yes! ever done more than making out: Yes! ever gotten in trouble on a cruise ship: not me. And Many more that can't remember off the top of my head! one uinque fact about yourself: ummm im asian. hahah i dont know. favorite tv show: DANCE LIFE. but theres too many others: ANTM, PCD, american idol. and then like CSI, MIAMI INK!! what do you want your future career to be: undecided...either mech. engeneering or architect. do you have a job right now: nope... planning on one. favorite place in the WHOLE world: a cruise ship. where do you/do you want to go to college: somewhere in CALI. but yeah that wont happen. what is your favorite thing to do on a cruise: tan in the day, party at night!! favorite cruise story: the events on the last nite. one uinque fact about yourself: I recently figured out that I can pop my hip out of place, then back in. what do your usual weekends consist of: Simple things with Friends,sometimes a wild party though. favorite movie: Sweet Home Alabama. favorite clothing brand: American Eagle. who is your idol/hero: Momma. what do you want your future career to be: A Pediactric surgon. do you have a job right now: No, but I need one! where do you/do you want to go to college: OSU, Kent, or ASU. how you found cruisemates: Googled Teen Cruising. when was your first cruise: Last summer. why did you go on your first cruise: Late Birthday Present. what got you hooked on cruising: Umm My first Cruise. all time favorite cruiseline (only pick one): Carnival. all time favorite ship (only pick one): Inspiration...thats the only one I've been on. how many cruises have you been on: 1.
ever hooked up with someone on a cruise: Yeahh. what is your favorite thing to do on a cruise: Sit in the front of the ship, on the sports deck and night, and talk with all my new friends. favorite food on a cruise: All of it. ever gotten in trouble on a cruise ship: Kinda, one of the workers said our room was too loud it 3 am. , and then she realized that me and my friend were not suppose to be there, so she told us to go back to our cabin. but thats about it. When this one kid ari, decided he was really tired so he was gunna go to bed at like midnight, so me, my bestfriend, and ari's room mates decided to wake him up at 3 and tell him we were in Grand Caymen, and he needed to get ready, so we did all that, he got up and took a shower, adn then when he got out there were like 10 kids sitting in his room cracking up. upcoming cruises: Fascination this summer? have you used the teen clubs on cruises: Yeah. one uinque fact about yourself: i know disney world better than my own town basically. it's pretty ridiculous. favorite band/artist: aerosmith of course!! also something corporate. favorite clothing brand: i dont have a favorite. who is your idol/hero: i dont know if i really have one..
favorite place in the WHOLE world: BERMUDA! but camp & disney world are way up there too. where do you/do you want to go to college: not sure, it changes a lot. how you found cruisemates: googled "cruise message boards" this came up..
why did you go on your first cruise: my parents always went on them and they figured me & my sister were old enough to go with them. what got you hooked on cruising: food! but mostly the people i meet..
all time favorite ship (only pick one): hmm costa atlantica? where is your favorite place to travel to on a cruise (only one! ): bermuda! that's easyyy! ever hooked up with someone on a cruise: no, we hooked up after the cruise.. odd i know. favorite person you have met on a cruise: kristen, my best friend!! favorite food on a cruise: lobster, escargot, ox tail soup, DESSERT! ever gotten in trouble on a cruise ship: not really no. favorite cruise story: the second last night on my last cruise was just FILLED with adventures. cant even begin to tell you.. and maybe my first kiss, it was sooo cute. favorite song that reminds you of cruises: roses by outkast. or in the summertime. one uinque fact about yourself: My unique fact is the fact that i don't have a unique fact. what do your usual weekends consist of: Sleep with a healthy mix of walking around in a daze with friends. favorite clothing brand: I don't have one. who is your idol/hero: I don't have one. favorite place in the WHOLE world: I don't think i've been there yet. where do you/do you want to go to college: Maybe. why did you go on your first cruise: Dunno. what got you hooked on cruising: Dunno. ever done more than making out: On a cruise? no. Anywhere? yes. what is your favorite thing to do on a cruise: Absolutely nothing. favorite food on a cruise: Late night burgers from the 24 hour cafe. favorite cruise story: I don't have one. have you used the teen clubs on cruises: No, we all hung out on the stairs outside the teen club while all the little kids were in there. one unique fact about yourself: i cant think of any!! cept maybe I know way too much about cruises!! do you have a job right now: yes. 4.
what is your favorite thing to do on a cruise: party!!!! ever gotten in trouble on a cruise ship: from my parents. and they had security after me once. favorite cruise story: the last night on the Noodam. have you used the teen clubs on cruises: oh yes! Tortola <333 yes i took that. one uinque fact about yourself: I don't think I have a unique fact. 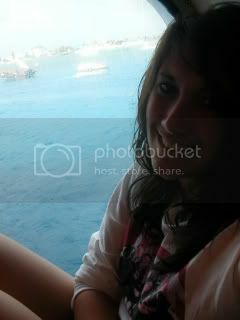 favorite place in the WHOLE world: being on a cruise! how many cruises have you been on: 4..gonna be 5 in august! one uinque fact about yourself: im double jointed lol is that unique? favorite place in the WHOLE world: newhere on vacation! favorite person you have met on a cruise: davey! favorite food on a cruise: there is this weird peanut butter chicken, and i love it! upcoming cruises: glory-may 19, my senior trip! do you have a job right now: coldstone babyy. favorite food on a cruise: ice cream! name: jessica but everyone calls me jessssssss. one uinque fact about yourself: hmm... i'm a fake blonde. favorite band/artist: at the moment... i loooove bob marley, rascal flatts and augustana. what do your usual weekends consist of: working... and partying with friends! favorite tv show: the oc. until it was cancelled! i love without a trace and cold case. favorite clothing brand: hollister, abercrombie, juicy couture and almost anything from nordstrom's b.p. section. who is your idol/hero: my madre. do you have a job right now: yessss hollister co.
favorite place in the WHOLE world: sailing the caribbean on a cruise ship! where do you/do you want to go to college: i'm going to sonoma state in the fall! how you found cruisemates: i honestly don't remember. when was your first cruise: october of 1994... i was like 5 and i don't really remember it. why did you go on your first cruise: my parents wanted to try cruising so... we did! and loved it. all time favorite cruiseline (only pick one): carnival! all time favorite ship (only pick one): carnival conquest! how many cruises have you been on: 7.
where is your favorite place to travel to on a cruise (only one! 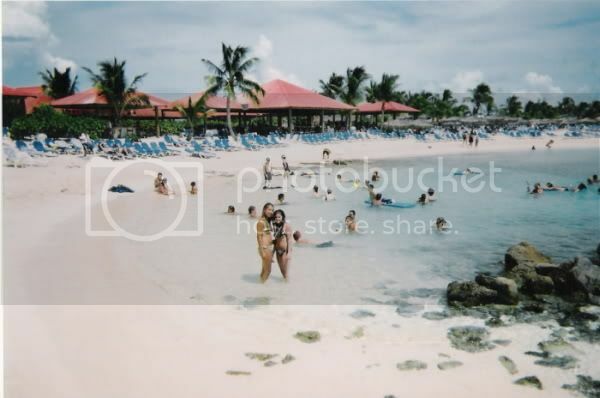 ): eastern caribbean! ever hooked up with someone on a cruise: yes..... duh! ever done more than making out: yessss. what is your favorite thing to do on a cruise: meet hot boys, and party with them at night! favorite person you have met on a cruise: i can't choose.... probably the guy i met on my most recent cruise! favorite food on a cruise: the chocolate melting cake.. or sushi! ever gotten in trouble on a cruise ship: yeah from my parents. oh wellllll. favorite cruise story: i have about 10. but i'll just share one for now. so me and my sister were hanging out with these two boys in our cabin on the valor. one of them had clove cigarettes that he had bought in nassau that day and we all wanted to smoke them. (they aren't gross like normal cigarettes... i hate those). so we were outside on the balcony smoking and then i went into the room with one of the boys and we were in my bed. haha. then all of a sudden my mom opens the door to our cabin and says "HI!" but i could tell something was up... she wouldn't just barge into our room for no reason. i don't even know how she got in. anyway shes doesnt say anything about me and the guy in my bed, but she was like wheres your sister? so i got my sister and my mom was like what are you smokinnnnng? apparently my dad thought that my sister was smoking pot on the balcony because his cabin was down liek 3 doors and he was out on his balcony and saw her leaning over on hers smoking. HAHAHAAAA. so my dad tells my mom "YOUR DAUGHTER IS OUT ON HER BALCONY SMOKING POT WITH A BOY!" and thats why my mom came in. then my dad finds out that it was actually clove cigarettes and he asked the boys if he could have one. it was hilarious. the end. what kind of cabin do you usually have (inside or outside): balcony! upcoming cruises: july 21st carnival liberty! have you used the teen clubs on cruises: not really. favorite song that reminds you of cruises: girl i want to make you sweat by bob marley. and come on over by christina aguilera. location: Boston soon to be back in Cleveland!! what do your usual weekends consist of: When i'm in boston, sittting around home bored. cleveland? going to parties, seeing friends, etc. favorite clothing brand: Oh god..uh..Polo for clothes, Tod's for shoes. why did you go on your first cruise:i wanted to! what got you hooked on cruising: Everything!! The ships mostly. how many cruises have you been on: Only one so far. upcoming cruises: summer 2008 transatlantic. one uinque fact about yourself: I can do a roundoff backhandspring. what do your usual weekends consist of: depends on the season. friends. shopping. snowwboarding. beach. cheerleading competitions. or practices. what do you want your future career to be: not sure. do you have a job right now: well i had lifegaurd training the whole weekend doesnt star till end of may tho. where do you/do you want to go to college:i'm eaning towards hofstra right now but i still have a yr.
how many cruises have you been on: 3.
ever hooked up with someone on a cruise: yes. ever done more than making out: no. i was 15 going on 16 on my last cruise. and a good 15yr old when it came to boys. what is your favorite thing to do on a cruise: nto gonna lie. get drunk and make friends. favorite person you have met on a cruise: Chase, hes like my bestfriend now. We tell eachother everything. favorite cruise story: this is a funny one. i was with a bunch of kids smoking weed. (i wasnt) and soem mom came by. and stopped and was like pass the blunt and was smoking weed with a bunch of us. soo funny. she had a son too. but he was madd weird. awww everyones pictures are so amazingly cutttttte! omg i loved that pictureee. ronni, yours is SO cute too! All these pics are cute!! I love Ronni's!! and Bri... you shoulda used the one where your sister's in the closet.. thats like the best pic ever! one uinque fact about yourself: ?! sometimes i sing songs in other languages. favorite band/artist: sooooo many. 311, death cab for cutie, jack's mannequin, sublime, red hot chili peppers, tons more. favorite tv show: desperate housewives!! wooooo. and hidden palms..new show you guys should all watch it it's prettty intense. favorite place in the WHOLE world: ahhhhh anywhere that my cruise takes me. 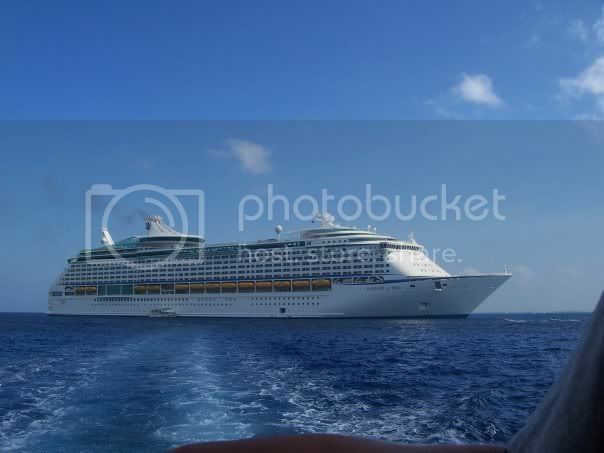 all time favorite ship (only pick one): i guess explorer of the seas?? favorite food on a cruise: whatevvvvverr..pasta.? ever gotten in trouble on a cruise ship: nah. last year on my cruise someone was telling me how at the first floor there's a "jail" or somethign..is that true?! favorite cruise story: no particular stories really, but good times staying out alllllllll night every night, watching the sunrise, sleeping for a few hours, then tanning by the pool! favorite song that reminds you of cruises: heyyyyyyy hey babyyy..HOOOO HAAAAi wanna knoww if youll be my girl! I went to six flags one day with some friends, and we were walking around and it started playing, so my friends know me so well before i screamed "cruise" they did, and everyone looked at us..and i was like i know im not the only one who likes cruises, and this random guy was like no i love them to! Haha it was so funny! I think I'm gonna go listen to it now! one uinque fact about yourself:I don't have a gallbladder..
favorite food on a cruise rincess alfredo! !its SO GOOD! -no picture, im on the wrong file.. Send a private message to t.s. Find all posts by t.s.